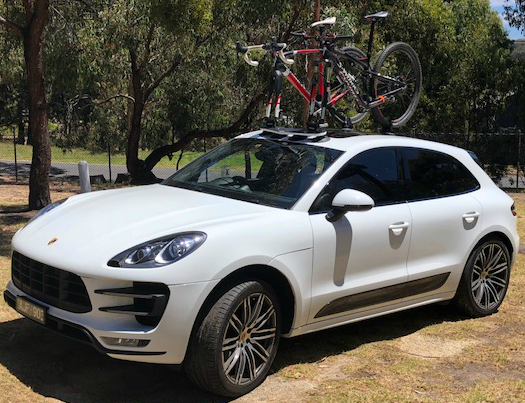 Adam was in the market for a Porsche Macan Bike Rack to combine his passion for the cycling and the great outdoors. 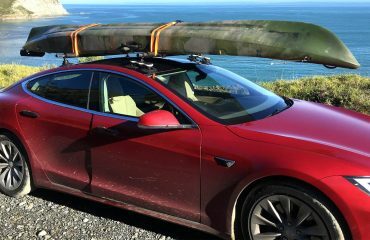 Furthermore, his Porsche Macan has a Panoramic Roof. 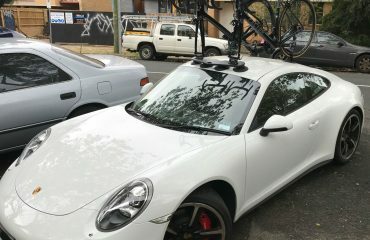 He contacted us looking for a solution to carry 2 road bikes. After a brief discussion, we invited Adam for a free demonstration at our office in Cheltenham. We quickly discovered that the Seasucker Mini Bomber easily fits on the roof section between the windscreen and the Panoramic Roof. This gives the Seasucker Mini Bomber a solid section to mount onto. 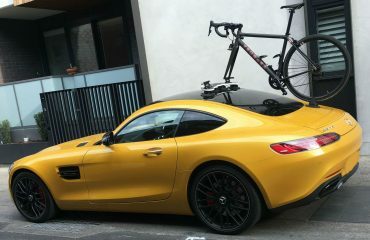 Furthermore, the Rear Wheel Strap could be located on the fixed section of the Panoramic Roof. In closing whilst SeaSucker Bike racks will work on glass just as well as painted panels our goal was to avoid mounting onto the sliding Panoramic Roof. Thanks Adam for your feedback and sending us your photos. 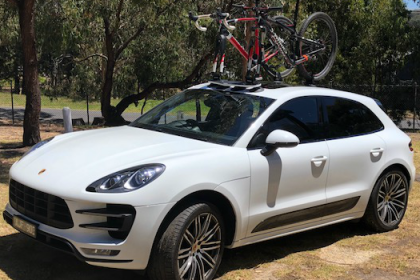 Looking for a bike rack for your Porsche Macan? Very nice, but that’s a Macan not a Cayenne!